Making the connection between your life and the beauty of nature. 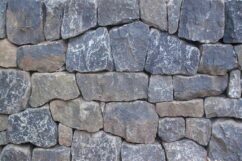 Heirloom-quality stone elements at very competitive prices. Planting plans for low maintenance beauty. Tending to the necessary growth and evolution of your garden. We are a small, family-run business that has been designing, building and planting landscapes in Eugene and Springﬁeld, Oregon, since 2004. We take our work personally, and what we do, we do with integrity. We believe that a connection to nature’s beauty is essential in life. And we work with a diverse range of homeowners, sites and budgets. Call us today for a free consultation, and let’s see how we can help you find ease in your garden. More about our approach.